Country Living at it's best. This charming family home offers a wonderful, open floor plan design with 3 Bedrooms, 2 baths, wood insert fireplace, recently updated kitchen, basement, over-sized one car attached garage, large, 2-3 car detached garage, older block building previously used as a chicken coup and a 30' x 48' pole barn with 12' high doors, a 9000 lbs auto lift, heavy duty 8" concrete floors, office as well as 220V electric, making this a perfect opportunity for auto enthusiasts, or someone that would want to have a home based auto repair business! 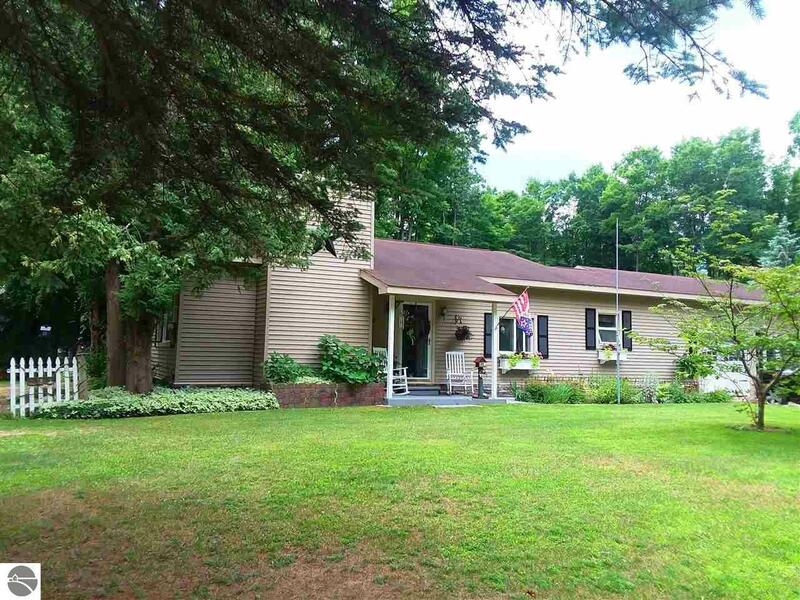 All situated on a wooded 3.2 acre wooded lot with beautiful perennial gardens an above ground 28' swimming pool all within 10 minutes to the most beautiful lake in the country, Torch Lake! Short drive to Kalkaska or a 30 minute commute to Traverse City. Bedroom 1 Size: 15'4" x 11'3"
Br2 Size: 15'4" x 7'10"
Br3 Size: 9'9" x 8'8"
Din Rm Size: 14'1 x 9'7"
Kit Size: 12'2" x 14'1"
Liv Rm Size: 14'1" x 24'3"
The accuracy of all information, regardless of source, is not guaranteed or warranted. All information should be independently verified. Copyright © Northern Great Lakes REALTORS® MLS. All Rights Reserved. Information last updated on 2019-04-20.